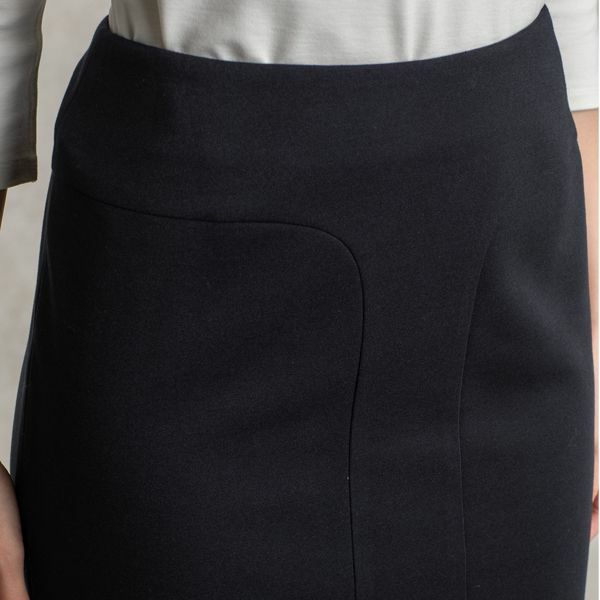 An elegant stretch skirt, the front is a beautifully composed tight line, while the back features a gorgeous mermaid line, creating a beautiful silhouette from every angle. This chic piece is machine washable at home. A central line through the beltless waist yoke runs straight down before flowing out into a gorgeous mermaid line at the hem of the skirt. A wonderful piece for any occasion including business. A high-quality material created with a blend of wool and polyester, making for the ideal blend of both softness and practicality. This perfect blend can be worn throughout three seasons. Two layers of this material are sewn together, creating an airy and light fit, as well as the perfect touch of volume and dimension. The panel line in the center compliments any body shape. 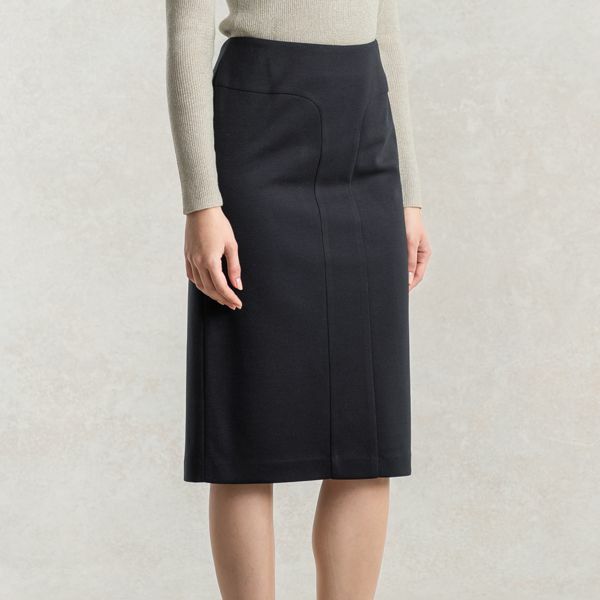 While the design of this skirt lengthens the look of the wearer, it also beautifully hugs and enhances natural curves. Through meticulous craftsmanship, the lavish materials are tightly woven together with special Japanese technology. Enjoy as an ensemble paired with the matching jacket. We also recommend wearing this piece with a kay me knit top or stole for an effortlessly elegant outfit.